The Estonian Centre project team is examining revenue streams to ensure a viable operation, and developing an event business will form a core part of this plan. In developing the plan, Project Managers David Kalm and Rob Deutschmann and Business Committee lead, Urve Tamberg, spoke to event planners to gauge the types of services and amenities that would ideally need to be in place to attract this type of business. Event revenue would come from sources such as corporate meetings and conferences as well as social events including weddings, family gatherings and other celebrations. For both types of events, offering adequate and flexible space that functions optimally are a priority. The Business Committee sought advice from numerous event planners on potential amenities and how to configure the space in the proposed new centre. Taimi Hooper and Tormi Kimsto, who are both members of the Estonian community, were two of the planners who the committee consulted. Taimi, who has owned her event planning business Porch Light Media Inc. for five years and before that organized corporate functions for a technology company, said the new centre has the potential to be a very unique space to attract event business. Taimi has been responsible for a number of local, provincial and national conferences and events including a project for Canada 150 called Landmarks2017 for which she was in charge of logistics for many installations across Canada. Taimi emphasized the importance that the space in the new centre be modern, convenient and technologically advanced to accommodate the use of a range of equipment. It is not unusual for clients to bring in their own specialized equipment as needed, so it is important for the “back end” of the facility to be able to fulfill this possibility. Things like a good and accessible loading dock, adequate power sources and plug-and-play simplicity are important. Taimi said she envisions events such as conferences of 100 – 400 people would be well accommodated. The attractive lobby area and outdoor space would lend itself to unique events such as markets, “pop-up” shops and events, concerts, outdoor screenings and festivals. “The new centre is also in a great location, with two subway lines within walking distance. There are also a number of hotels close by that can accommodate overnight guests who are attending events or conferences,” she added. “Event planners are looking for exactly this kind of convenience and proximity of services and transportation,” she said. Tormi, who is event manager for Canopy Growth Corporation, also has extensive experience organizing large-scale events and galas, including True Patriot Love and Vimy Ridge. She previously worked for K.I.M. Inc., a fund-raising company that mounts major events. Many of the events she organized would raise $1 – 2 million in one evening. 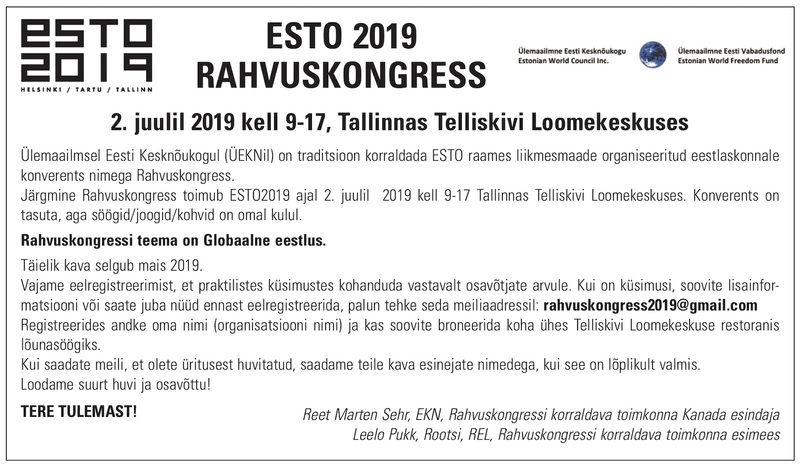 Tormi said the proposed new Estonian Centre has the potential to attract discerning clients who are looking for an attractive and modern venue. She said that the fact up to 400 people can be accommodated in the great hall is excellent, as this size of space is very much in demand. “The outdoor space and rooftop are also unique, especially for celebrations like weddings. The lobby and hall spaces are also really good for events and the large windows will be very appealing,” she said. Tormi also recommends that an on-site event coordinator who knows how to market to all the blogs and media that event planners subscribe to will be essential. The coordinator will need to give tours to prospective clients and coordinate logistics from the venue side. This is detailed work that must be service-oriented to a very high degree. “This role is really important – it will be that person’s job to promote the centre on an ongoing basis and get on all the right platforms,” she said. She also said that technical amenities such as good screens, lighting and ease of setup with good elevator access are also key features than must be in place. It is important to note as well that ensuring adequate space is available for the Estonian community to use for meetings and events will be a priority. These needs will be balanced with the rental business portion of operating the centre. The Business Committee has been studying similar events spaces in the downtown area to see what services are offered and the cost structure of renting various configurations of space. Similar competitive spaces in Toronto that offer rental space are hotels, smaller conference centres and facilities available at universities such as Ryerson University and the University of Toronto. They are also determining a business model for the event management at the centre and its potential revenue stream. “The operation of the centre will be supported through rental of the space,” Urve said. “It will also be key to have a sound marketing plan in place and an event sales coordinator to orchestrate the outreach and manage the bookings on an ongoing basis,” Urve added. There is very good potential to develop an event revenue stream for the centre. The convenient downtown location, flexible space and modern amenities will be attractive to potential clients. 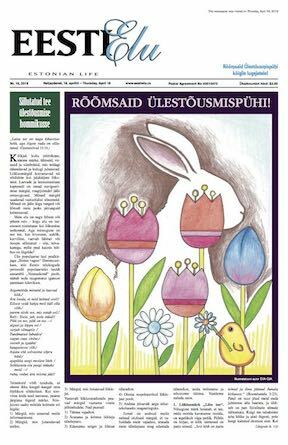 And it is with the support of this revenue stream that the Estonian community can continue to enjoy a space to meet and celebrate for decades to come.